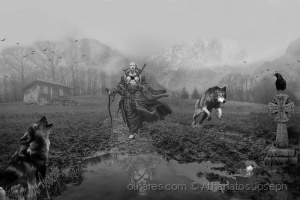 Oro seeks peace and does not find it! Ara is peace! She's all sensitive... She cries with the wickedness of the world and has the pretension to promote change... He knows that she will make him king of peace! He doesn't know that she already exists on Earth to crown him!